Building beauty from the inside out, our collagen capsules form the foundation of our skin and healthcare ranges. Collagen is nature's own incredible ingredient for supple skin, strong nails, shiny hair and healthy joints. Our collagen is VERISOL® bioactive collagen peptide. Helps maintain a youthful appearance by plumping fine lines and minimising wrinkles. proto-col collagen comes from a bovine source as this is the closest match to human collagen. 90 capsules (400mg of collagen per capsule). Collagen is a natural protein that is made up of amino acids – the natural building blocks of our skin. Collagen is found throughout the body – in skin, hair, teeth, muscle, tendon and bone and it helps hold us together. proto-col uses only hydrolysed collagen which means it has essentially been “pre-digested”, so the digestive system takes less time and energy to break down the protein and therefore it gets absorbed into the bloodstream very quickly. As we get older our body tends to produce less collagen causing loss of skin elasticity and reduced joint mobility. By the age of 45 our collagen level has decreased by about 30 percent. proto-col use bovine collagen as it is so similar to human collagen and many people in the beauty industry have embraced its use to reduce wrinkles and fine lines. Taking a collagen capsule supplement can help maintain a youthful complexion and obtain optimum well-being. Collagen has been known to increase joint mobility and reduce arthritis pain. It is also used to help combat cellulite and has only 4.8 calories per serving. 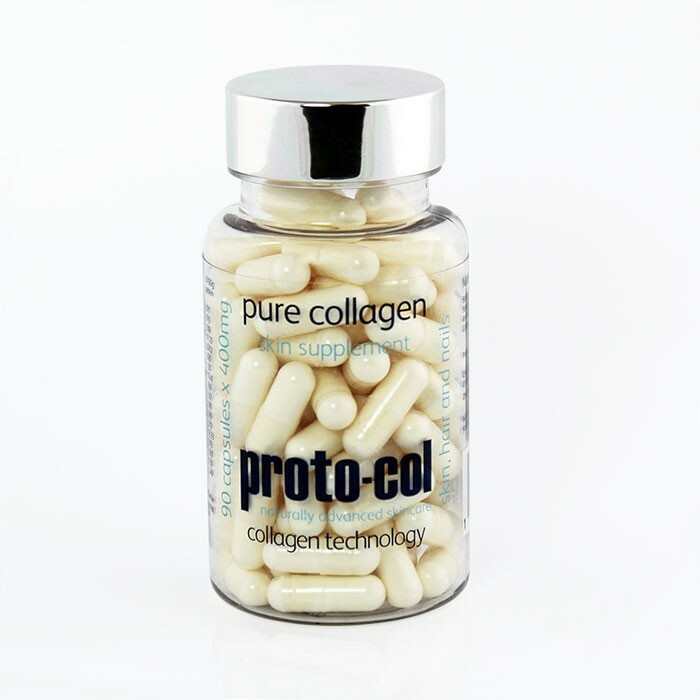 proto-col use bovine collagen as it is considered to be the closest match to human collagen.